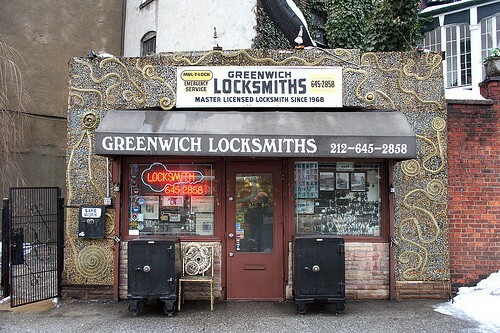 Greenwich Locksmiths - New York City's Best Locksmith for over 34 Years. Whether you need keys made, need your locks changed or got locked out of your apartment allow us to make the situation as simple and pain-free as possible by providing excellent service at a reasonable price. Greenwich Locksmiths is run by professionals, there is nothing out there that "can't be done" so never accept no as an answer from any other locksmith. Give us a call today! The most common reason for calling us is to change your lock cylinder - fitting new keys to your lock so the old ones no longer work. We proudly charge a $125 flat rate to change any lock. No matter what kind of deadbolt, doorknob of any kind, Medeco, Mul-T Lock etc. we can re-key it for $125. This may sound higher than the $25 and below service calls our competitors claim to charge, but once you are done with the hidden fees and items it will come out to as much as if not more than $125.